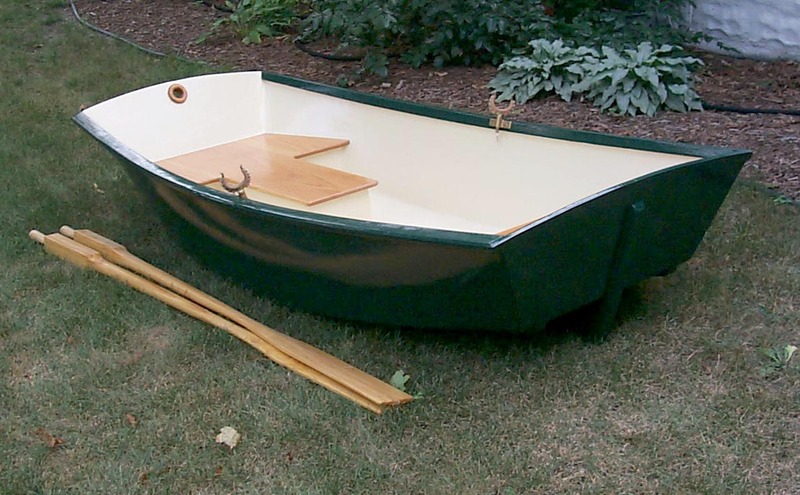 Chuck Merrell’s Apple Pie dinghy is so small and simple, she’s a real kitchen-table boat – that is, she’s small enough to be built on a kitchen table, and simple enough that you may well be able to finish her before anyone complains that they can’t do anything useful in the kitchen because there’s a boat in the way. Greg – I think the answer would be ‘just about’, though those kids will grow! I have built one of these and used it for quite a few years now. It will carry two adults if the water is calm.